As the cooler weather creeps in, you can still embrace the hidden warmth of fall with Molton Brown's new sultry floral Rosa Absolute Collection. 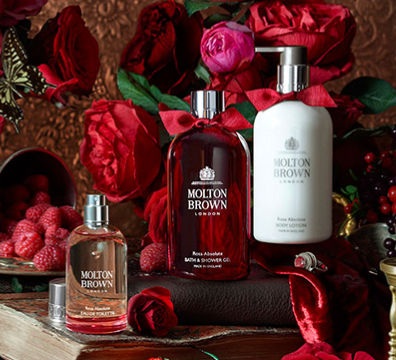 Inspired by an ancient Italian practice of a rose representing secrecy, Molton Brown utilizes the rose scent as a depiction of the Late Renaissance period. With its deep rose hue and Royal Warrant of Her Majesty the Queen on every bottle, the Rosa Absolute Collection illustrates luxury and opulence at its finest. *Post in exchange for product. All opinions are my own. The holidays will be here before we know it, and it is never too early to be thinking about gifts you will be giving to those you love. As you begin to shop for holiday gifts and stocking stuffers, I'd like to put the NEW limited edition body washes from Softsoap on your radar! The festive formulas rehydrate dry winter skin, and feature seasonal scents like invigorating peppermint meringue and calming vanilla crème. This new line makes an affordable and meaningful gift that sparks holiday spirit and keeps skin soft and smooth all season long. 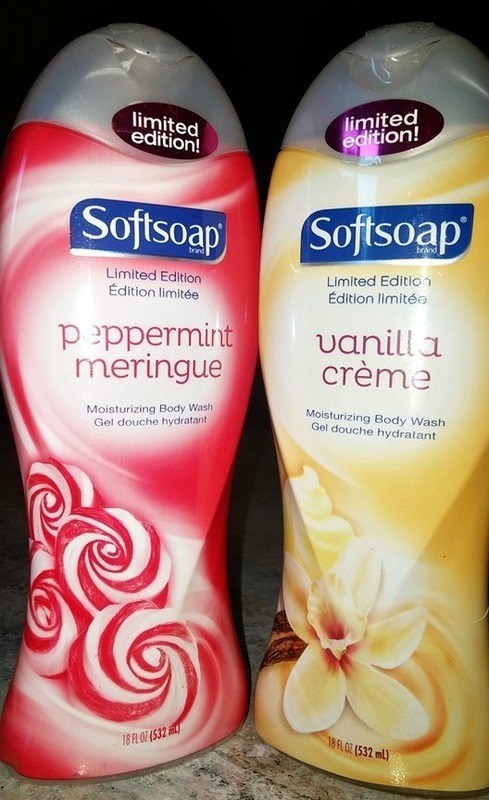 SoftSoap is my favorite brand of body wash. I absolutely love the rich, creamy lather that helps to hydrate dry skin. It makes my skin so soft, and is perfect for shaving my legs in the shower. I am thrilled with these new holiday inspired fragrances. 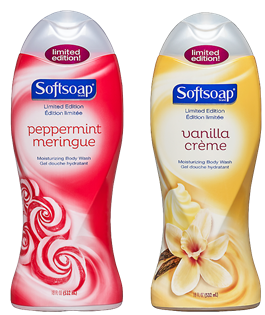 The Peppermint Meringue is a refreshing mood booster, and the Vanilla Crème is soothing and relaxing. Both scents are so delightful! 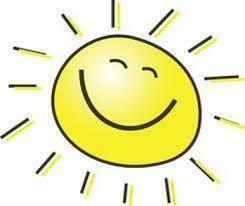 Summer is here and the temperatures are rising! 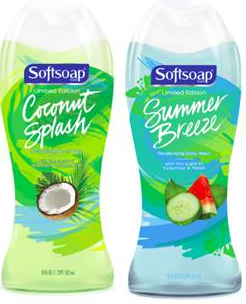 It is time to get your skin beach-ready with the NEW limited edition body washes from Softsoap! Whether you choose to indulge your senses with the refreshing fragrances of cucumber and melon in Summer Breeze, or escape to the beaches of Brazil with the invigorating scent of coconut milk in Coconut Splash, the moisturizing formulas will leave skin feeling radiant and smooth so you’re ready to head into the warmer months. I love SoftSoap! From their liquid hand soaps to their body wash formulas, I know I can trust SoftSoap to keep my family squeaky clean and smelling fresh as can be. This new line of summertime body wash smells amazing. I love to use it to shave my legs because it makes such a lovely, rich lather and leaves my skin feeling so soft and silky! Mark your calendar now and make sure to tune in – KORRES will be back with another amazing Today Special on HSN July 19th! 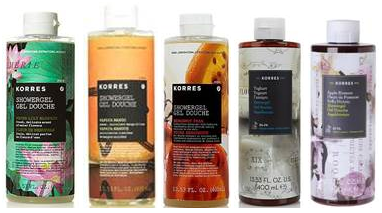 Typically $19.50 a piece, you can order a set of 5 amazing scented KORRES Showergels for $39.95. This set features the Water Lily Showergel, Papaya Mango Showergel, Bergamot Pear Showergel, Yoghurt Showergel and a brand new scent – Apple Blossom. Even better – the set will come with a Blue and White striped beach bag, perfect for your summer travels!  Last Minute Mother's Day Gift Ideas She'll Love! 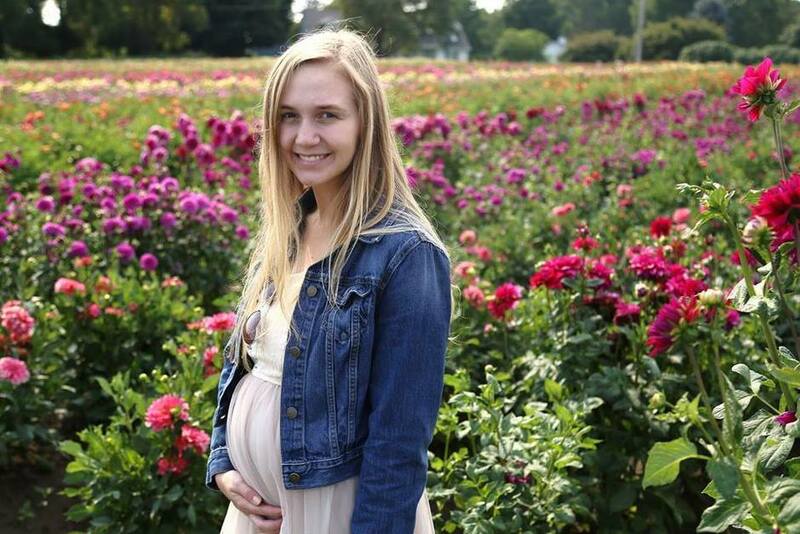 Behind on Mother’s Day shopping and ideas? 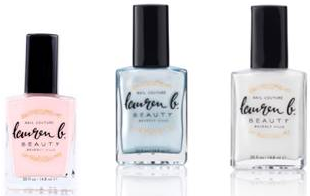 Lauren B. Beauty’s pastel nail lacquers, Philip B.’s Lavender Hair & Body Wash, and Skyy Hadley of As U Wish Salon’s Coconut Sugar Smooth Hand Scrub are a procrastinators dream. 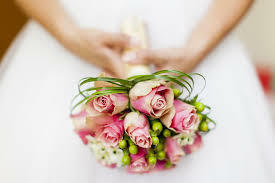 No one will know you’ve only picked these out just a couple of days before her special day! 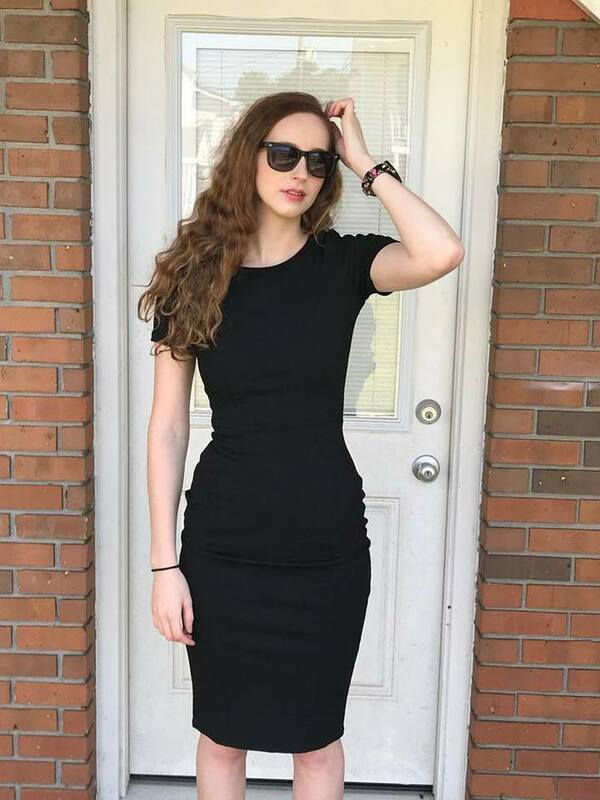 Lauren B. Beauty in Silverlake Speaskeasy, Santa Monica Shutters, and City of Angels are the perfect spring colors to give your hands a light and fresh touch up. Find these lacquers at laurenbbeauty.com. 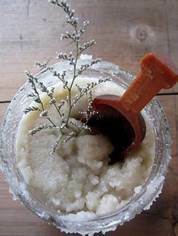 Stir mixture together in small jar. Take handful of the scrub and rub into hands. Leave on for a few minutes and rinse in warm water. Follow with a hand moisturizer of your choice. It’s best to do this before bed at night to avoid using your hands a lot after. Something borrowed, something blue, something old, something fresh and floral from Molton Brown. 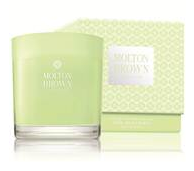 Just in time for wedding season, Molton Brown’s Dewy Lily of the Valley & Star Anise Collection is here. With lily of the valley being traditionally found in a bouquet walking down the aisle, this collection brings the unique and sought after floral straight to your vanity. Lather the Molton Brown Dewy Lily of the Valley & Star Anise Body Lotion ($42) to create an ultra-hydrated canvas for your wedding day glow. Throughout the day spray the ultra-feminine Molton Brown Dewy Lily of the Valley & Star Anise Eau de Toilette ($65) for an instant refresh. Later, whether it be hours or months, light the Molton Brown Dewy Lily of the Valley & Star Anise Three-Wick Candle ($74) to flood your mind with the romantic and joyful memories. Disclaimer: I received samples to facilitate this post. I absolutely love Softsoap! When I heard that they had created a brand new line of body wash, I couldn't wait to give it a try. I could hardly contain my excitement when I discovered Softsoap Luminous Oils Body Wash. Just the name alone was intriguing to me. Luminous Oils sounds exotic and luxurious, yet with Softsoap, completely affordable. 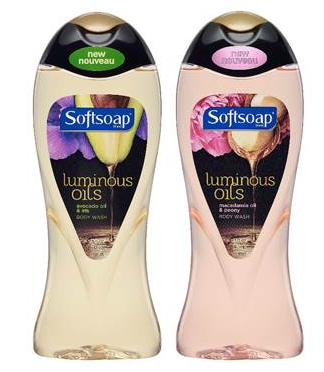 The NEW Softsoap Luminous Oils Body Washes have just a touch of luxurious oils and an alluring fragrance. The sheer, non-greasy formula hydrates and cleanses leaving your skin soft and radiant – no extra steps required! This new body wash is currently available in these two delicious fragrances: Avocado Oil & Iris and Macadamia Oil & Peony. I love both of the fragrances and I cannot decide which one is my favorite. They create such a nice soft lather and I use them to shave my legs for the closest shave ever. After my shower, my skin is sweetly scented and oh, so soft and clean! The bottles are so pretty, too and they look nice in my bathroom. I think that the NEW Softsoap Luminous Oils Body Wash is my latest beauty obsession! You can find NEW Softsoap Luminous Oils Body Wash at Walmart, Target, or most local grocery stores. Disclaimer: I received samples of these products to review. All opinions are my own. The sun is setting later, the flowers blooming and the birds singing. Outside is filled with the delightful fresh air of new beginnings – but what about inside your cosmetics bag? 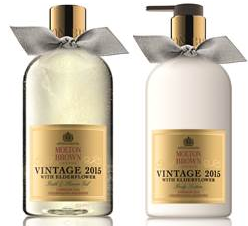 If you’re still using your holiday themed body wash Molton Brown is here to help with its newly launched Dewy Lily of the Valley & Star Anise body wash – an instant refresh to your shower routine. Post-rinse and you’ll feel like you’re sitting in a field of wildflowers. If you still have dry lips from the heavy and dark lipsticks of winters past use Burt’s Bees Tinted Lip Balms to help you spring forward into the new season. Moisturizing with just a hint of color, they are available in 6 season appropriate floral shades. Fragrances need a refresh? Try Krigler’s Emeraude Noire 77. In the late 70’s this scent was known as the fragrance for the Parisians – And the only thing better than actually being in Paris during the spring, is smelling like you’ve just returned. Disclaimer: I received samples of these products. Any opinions are mine. Meet Sebamed Liquid Face & Body Wash, perhaps the best cleanser of all time to share with your man. First and foremost, the bottle is white. Not pink. 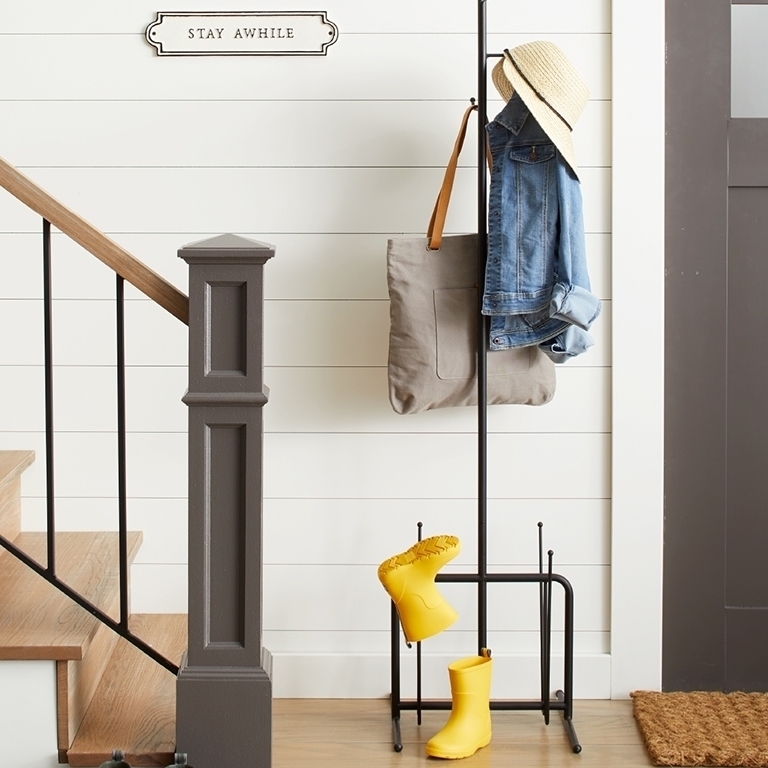 It's classic and unisex with a pump dispensing system, meaning its man proof! - am I the only one convinced guys are genetically programmed to lose caps? Enriched with a natural moisturizing complex of vitamins and soothing allantonin, it rinses away completely for healthier, smoother, hydrated skin. Plus, it's a dermatologist developed wash with pH value of 5.5, the exact pH of healthy skin (body, face and scalp). Oh, and the fact that it's under $20 means you won't squirm every time your significant other squeezes a palm full of the stuff into his hands. It's already the #1 selling wash for sensitive skin in 85+ countries, including its native Germany, and is now available stateside at CVS, RiteAid and Walmart. 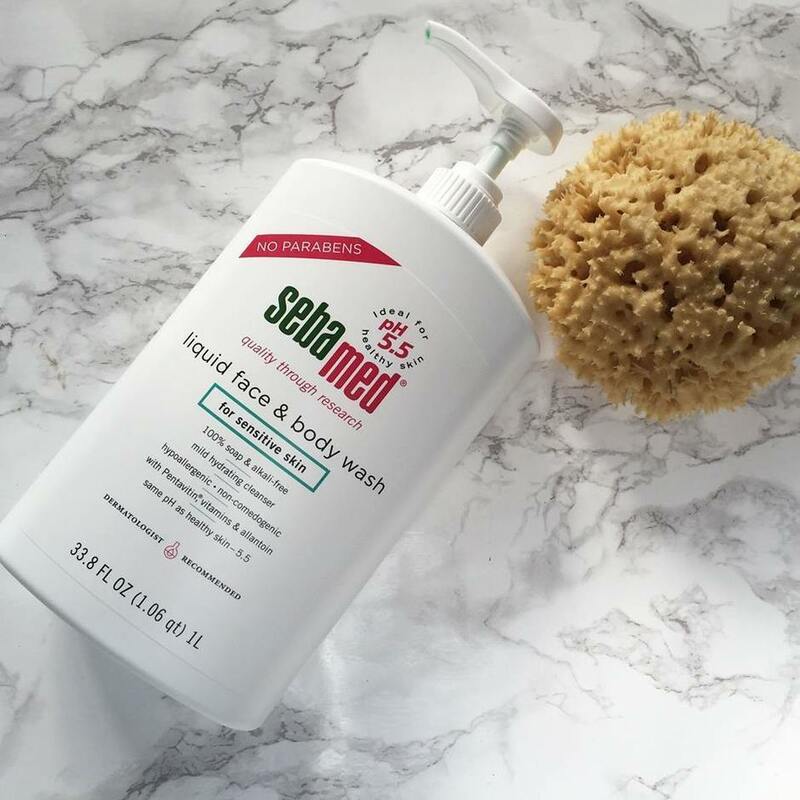 I truly love my Sebamed Liquid Face & Body Wash! It smells extremely fresh and clean. I love that I can use it to wash my face as well as my body. I love how it thoroughly, yet gently removes all traces of my makeup, even my eye makeup without stinging my eyes! It also makes the perfect sudsy lather for shaving my legs. My skin is left soft and moisturized. 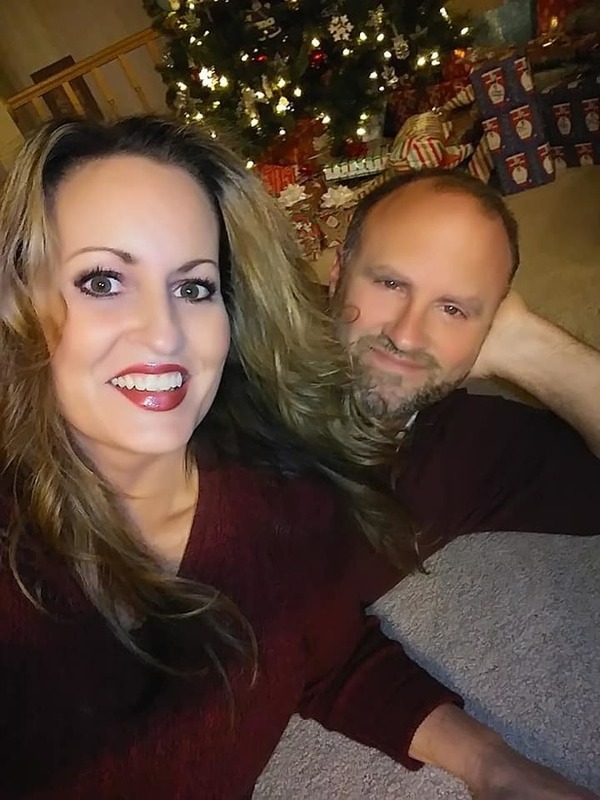 My husband loves it too! This dynamic duo leaves my skin fresh and nourished. I am loving this adorable champagne-inspired packaging! My skin is left smelling heavenly. Prepare your lips for some sweet kisses with this lip savor. From the peppermint flavor to keep your breath fresh, the sunflower oil for nourishing benefits, and the glitter to spark the festivities, this little gem is the ultimate necessity. A girl and her two best friends – diamonds and perfume #squadgoals. 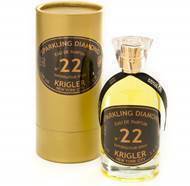 Infused with the nectar of champagne this perfume is the perfect way to keep that New Years sparkle all year long. Oh, and don’t forget the piece of jewelry with its crystal inside the bottle! Disclaimer: I received product samples to review. all opinions are my own.